The Covergirl Lash Blast Mascara is devised to volumize lashes giving you the false lash effect. Covergirl has had the formula ophthalmologically tested. It is hypoallergenic and suitable for use while wearing contact lens. This mascara is also available in a waterproof formula. 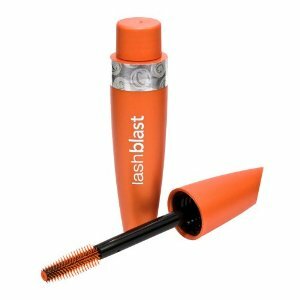 LashBlast is available in 4 colors: very black, black, black brown and brown. The wand is a new design that Covergirl says it has 50% more bristles than the standard brush. This is to make sure very lash gets coated with the formula and to prevent clumps. I have summarized ladies opinions of the mascara from their reviews on the Covergirl site. Petroleum Distillates, Polyethylene, Disteardimonium Hectorite, Copernicia Cerifera Wax (Carnauba), Trihydroxystearin, Propylene Carbonate, Pentaerythrityl Hydrogenated Rosinate, Tall Oil Glycerides, Tocopheryl Acetate, Propylparaben, Phenoxyethanol, Iron Oxides, May Contain (+/-): Titanium Dioxide, Ultramarines, Talc. There are mixed emotions when it comes to this mascara with most ladies singing its praises and some barely whispering! The majority of users found it worked well for them and gave them volumized, natural and clump free lashes. However, others found it to be a little messy and clumpy to use and didn't think it made much difference to the appearance of their lashes. It is only $6 which is a bargain if it works! Could be worth a try seeing as most people found it worked wonders for their lashes. This entry was posted on Sunday, November 7th, 2010 at 4:08 pm	and is filed under Covergirl, Make Up, Mascara's, Reviews. You can follow any responses to this entry through the RSS 2.0 feed. You can leave a response, or trackback from your own site.